Well, new year, great snow packs so far and with a little luck we’ll have a smoke free summer. Time of year where summer seems ages away. But we will be out in a month or so chasing the big green stones along with the fish. 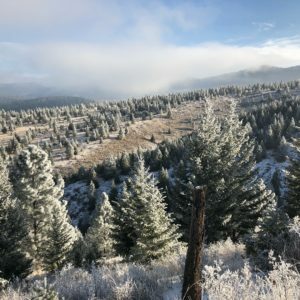 This year is going to include some new restrictions on the upper Bitterroot and the West Fork so make sure to take this into account when planning a trip this year. There has been some Great work being done by the Clark Fork Coalition that has dramatically helped some spawning trib’s on the upper stretch. So hats off to them for the good work. Not a lot to post report wise this time of year unless your using your fly rod through the ice, but things have started to improve on the flathead. There has been several new patterns that have been shaking things up a bit last year, so stay tuned for a tying blog! !